Ukraine’s beer output totalled 18.07 mln hl last year, up 1.3% versus 2017, trade association Ukrpivo reported earlier in January. While Sabeco is still at loggerheads with the taxman over alleged back taxes of $135.73 million, it has not provisioned for it, VnExpress International reported on January 27. Bengaluru-based United Breweries Ltd (UBL) on January 28 said elections are always disruptive for the liquor sector and expects industry to growth at 6-8 percent, CNBC-TV18 reported. In an interview to CNBC-TV18, Shekhar Ramamurthy, managing director, said general elections in the peak summer season would be an absolute dampener for UBL and the year 2019 is not likely to start on a happy note. Diageo, one of Ethiopia’s biggest breweries, is trying out a new beer named Mench at selected places on a trial run, The Reporter Ethiopia said on January 26. The makers of Abo Meta, Guinness and the affordable Azmera draught brands – the latter launched last year – and distributer of liquors, including Smirnoff, Johnnie Walker and Baileys, is starting the new brand as a direct competition to local beers, such as St. George, Habesha and Walia. 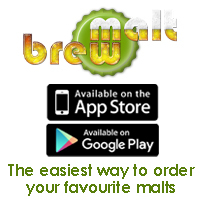 The beer has a five percent alcohol and is flavoured with fruits and herbs. Diageo is a noted company within Ethiopia having acquired the brand at a cost of USD225 million and has further invested USD119 million in its factory to help expand its reach and recoup its investment in an Ethiopian society that continues to have the appetite for beer. The company has launched new products and implemented new technologies, such as starting a QR code system to deter counterfeit products from being sold to consumers. It is said to have put much confidence in its new product and is expected to launch it nationally. Guinness Ghana has changed its name to Guinness Ghana Breweries PLC in accordance with the demands of its Amendment Act 835, the Modern Ghana reported on January 28. The change of name was agreed by all stakeholders after the company held its 46th Annual General Meeting in November 2018. In a statement signed by the Corporate Relations Director of the company, Gabriel Opoku-Asare, the company explained that its aim is to be the best performing and most trusted beverage company in the country. Opoku-Asare also assured customers that the change of name will not negatively affect the brand in any way, adding that it is the same great company with only a new name. The statement thus called on the public not to let the change of the company name negatively affect existing business engagements with them. 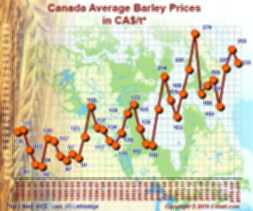 For 2018-19, Canadian barley production increased by 6% from 2017-18 to 8.4 million tonnes due to higher harvested area, despite a lower yield, Agriculture and Agri-Food Canada said in their January report. Production in Western Canada averaged 8.0 mln tonnes, of which 50% was in Alberta, 43% in Saskatchewan, 6% in Manitoba and 1% in British Columbia. Production in Eastern Canada averaged 0.4 mln tonnes of which 41% was in Quebec, 27% in Ontario and 32% in the Maritimes. Total Canadian supply decreased due to sharply lower carry-in stocks. Total domestic use is forecast to increase on higher feed and industrial use. Exports are forecast to decrease due to lower total supply. Carry-out stocks are forecast to decrease by 20% to 1.0 mln tonnes or near record low levels. The average feed barley price for the crop year is forecast to be about 12% higher than last year. Similar to feed barley, the quality of the malting barley crop is variable. The extensive summer heat increased the protein content of the crop and lowered the weight of the crop, depending on the date of maturity and area.